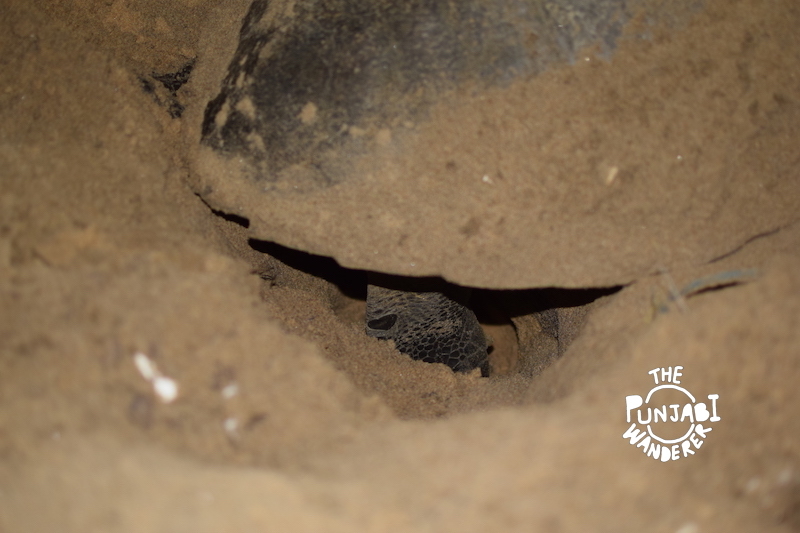 Watching the nesting of turtles in Odisha was on my list for an year. The sight of Olive Ridley Turtles in huge numbers arriving on the sea shore in the night and laying eggs seemed so Interesting to me. But the locals gave me a look and said “Dilli se bs kachua dekhne aaye ho ?” (Have you come from Delhi just for the turtles ?) In response I said “Well yeah, but now I will see a bit more of Odisha”. Let me take you through this journey. There is a video at the end as well. But first, the important facts. Cost in INR : 11k for flights + 5k for the rest of the trip. 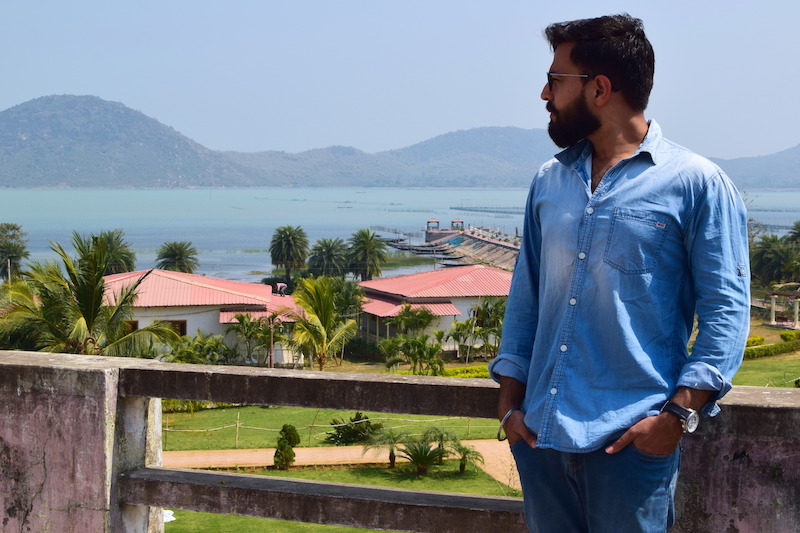 Destinations Covered : Rushikulya, Puri, Konark, Dhauli, Bhubaneswar. It was a Thursday evening and I saw pics of Arribada in my Instagram feed. Arribada in spanish means arrival. 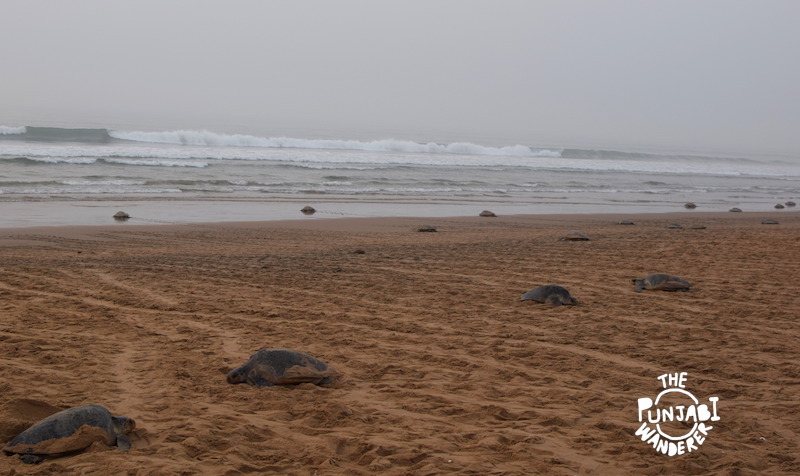 This term is used for the arrival of Olive Ridley turtles for mass nesting. This mass nesting of turtles in Odisha, starts in December and peaks in March. This year it peaked in February only and caught me unprepared. I gave it a thought and booked the flight tickets for the next morning to Bhubaneswar (at double the usual price). I guess this was an year of unplanned trips (after an unplanned one to Manali in January) . I quickly applied a leave and was all set for a 3 day trip to Odisha(Friday plus the weekend). The only thing I knew when I was boarding the flight from Delhi was a place called Rushikulya (where Arribada can be witnessed). After a bit of googling and some help from an Instagram friend, I figured out the initial leg of my trip. After landing at Bhubaneswar, I tried to hire a bike. I enquired some bike rental shops, but could not find any bike. Then I decided to go by bus only. 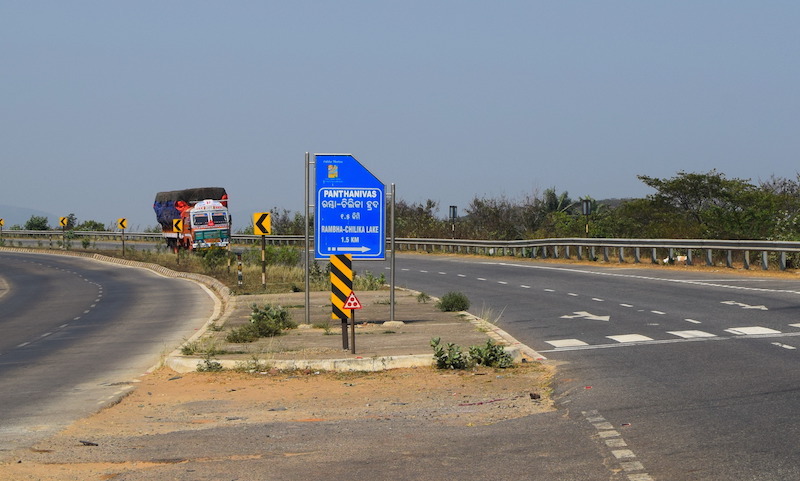 I boarded a bus to Berhampur and after a 3 hour journey, got down at Rambha by pass. Rambha was the closest town to Rushikulya beach where I could have found an accommodation. It has an OTDC Panthanivas – a beautiful Odisha Tourism Hotel with economical rooms and nice food. The hotel was 1.5 km from the highway. I hitch hiked and walked this distance. 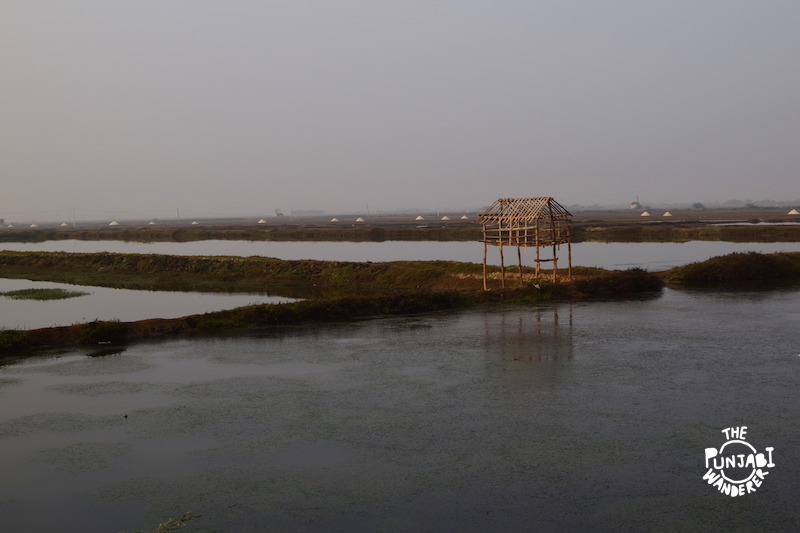 The special thing about this hotel is that it sits right on the banks of Chilika Lake. I reached there at almost 6:00 PM (selfie is of the next morning) and I had my first meal of the day, a really tasty one. You need a Permit ! Now the problem which lied ahead was that you need to have a permit to go the nesting site. These turtles in Odisha enjoy the security of the Forest Department. And rightly so, because they are in danger. The villagers used to eat their eggs. Why ? Because they were free of cost! Also crows and eagles used to eat the hatchlings before they returned to the sea. Then some local volunteers made a conservation committee and with the help of forest department, everything is good now. Each year more and more turtles come and lay 120 eggs each. 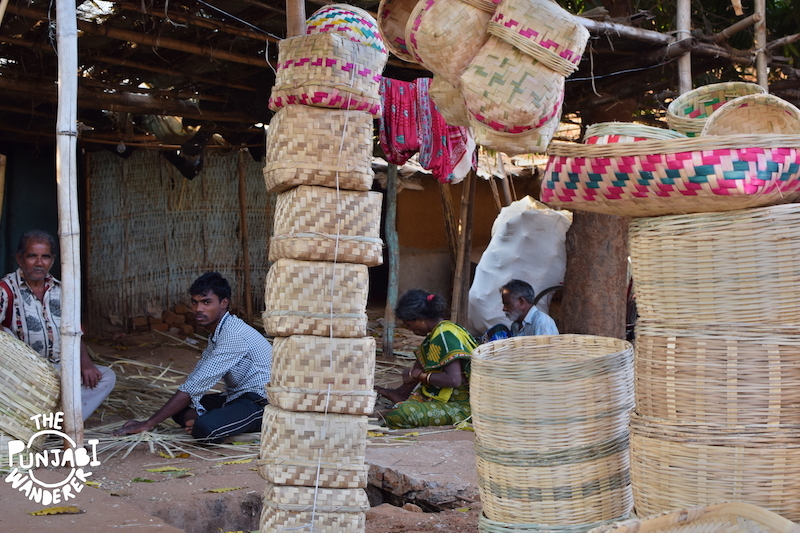 Coming back to the permit, it can be arranged only from the Forest Officer at Berhampur. I didn’t have that much time and someone told me that it is not easy to get the permit. I was afraid that all this effort might go waste. But then I met an auto rickshaw driver, who was like “Turtles? btao kitne dekhne hain?” (Turtles? Just tell me how many you want to see). Obviously without the permit ! I hopped on and we started for Rushikulya. 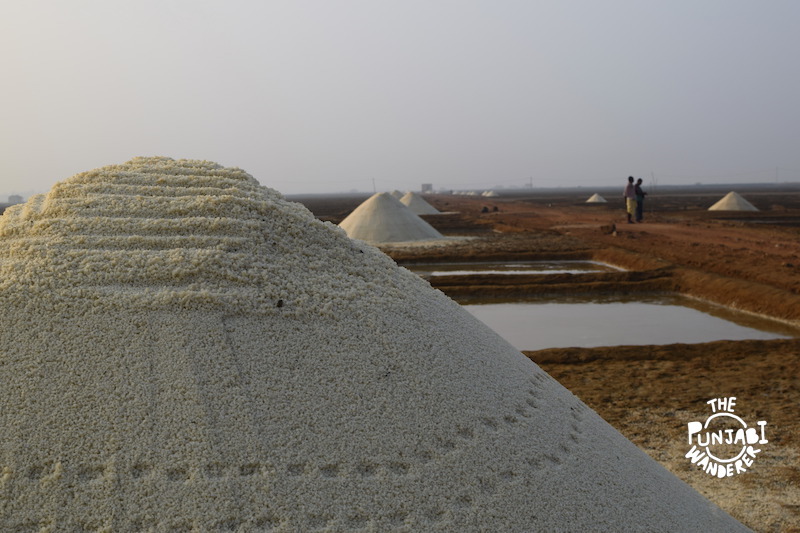 On my way, I saw some salt manufacturing going on. NO they are not mating. Just looking for a nest. Within 24 hours, I switched from Instagram videos to live scenes at the beach. Ah ! That feeling can’t be expressed in words. I spent some time observing the turtles like a responsible but curious tourist and tried not to disturb them with my presence. I saw them digging nests and laying lots and lots of eggs in them (breach of privacy though). I did go back to the hotel to sleep, only to return back in the morning. And the morning scenes were too good to be true, because I could actually see the sea of turtles. 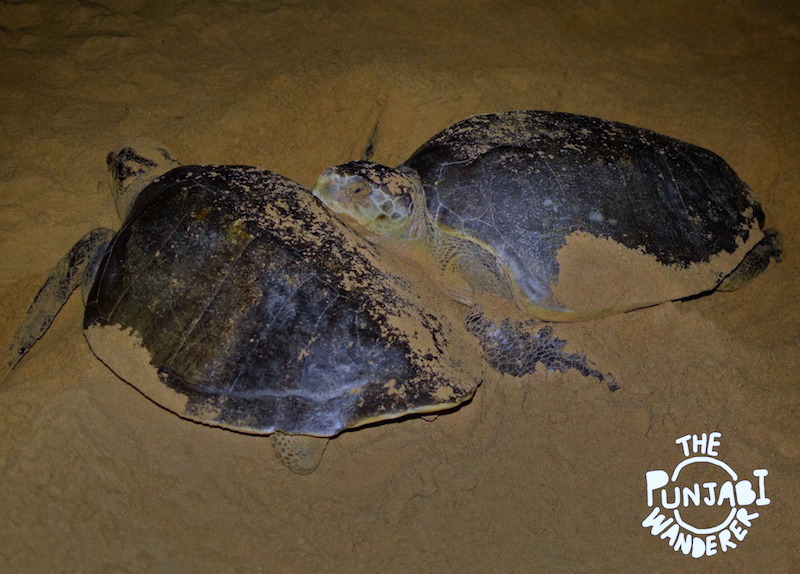 Also, in the morning you are allowed to take a stroll in the protected area as well; as the turtles are done with the laying of eggs. The hatchlings will come out after 45 days. And then the volunteers will be protecting them from prefatory birds and helping them return back to sea. There are other places to see this phenomenon as well, like Gahirmatha. But that area is even more reserved and restricted. I was not done with Odisha yet. There were many interesting things other than these turtles in Odisha and I had more than 36 hours left. I will write another blog for it. But if you are too curious, you can watch the video on my YouTube channel. It is there already. 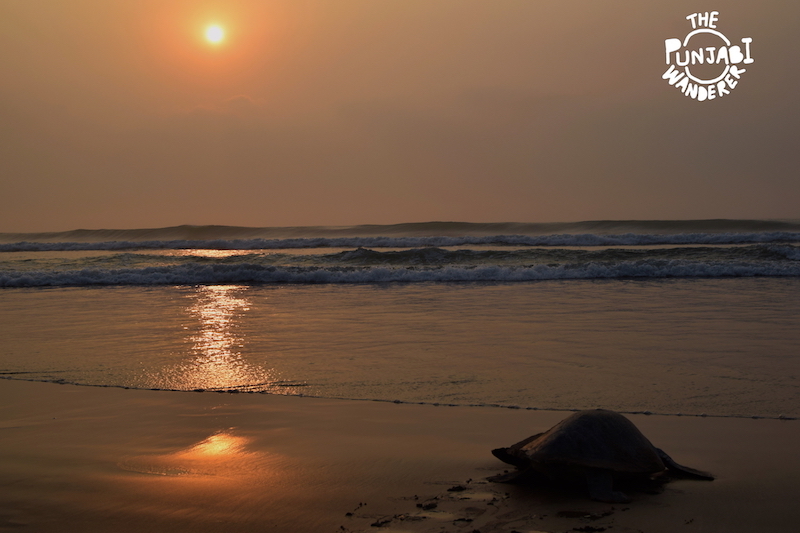 How did you like this experience with the turtles in Odisha? Do let me know in the comments. Next Post 6 Reasons Why You Should Travel to Kazakhstan.